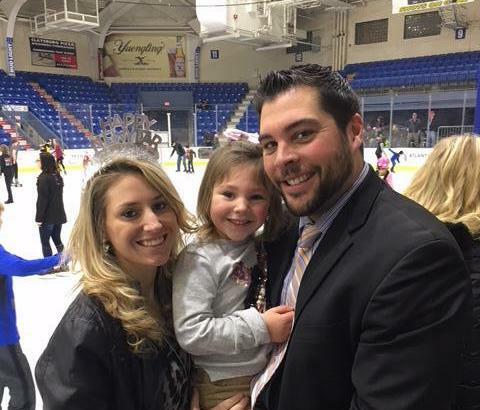 Since the Johnstown Tomahawks were founded in 2012, the franchises has put making an impact in the community at the top of its to-do list, and the Tomahawks players, coaches and staff have impacted many families in the Johnstown area over the last six years. Their next charitable cause will be for one of their own. Alana Letizia, wife of fifth-year head coach Mike Letizia, has been diagnosed with breast cancer. Alana, a teacher at Rockwood Area School District has begun chemotherapy treatment and will need to have surgery, according to a press release issued by the team on Thursday. In response, the Tomahawks will dedicated their Faceoff Against Cancer event scheduled for Saturday, Oct. 6 to Alana and the Joyce Murtha Breast Care Center in Windber. Rockwood students and teachers will be at the game, selling chuck-a-pucks, helping to raffle off gift baskets and auctioning oft the special pink jersey the team will wear in that game. The Letizia Family has been with the Tomahawks from the beginning. Mike Letizia started out as an assistant on the inaugural team in 2012-13 before being promoted to head coach in 2014-15. Before that, he coached at Bishop McCort High School and played professionally for the Rockford IceHogs of the UHL.